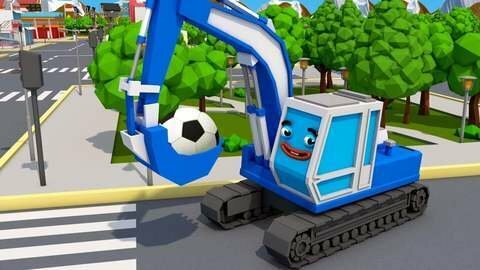 In this car cartoon for kids, the very naughty tractor and monster truck tied balloons on the blue excavator.This caused the excavator to float but when the strings snapped, he fell down into the bank while the two laughed at him. In the end, the two got to experience floating with the balloons too. More fun and learning awaits you at SeeZisKids.com where lots of educational videos can be found.